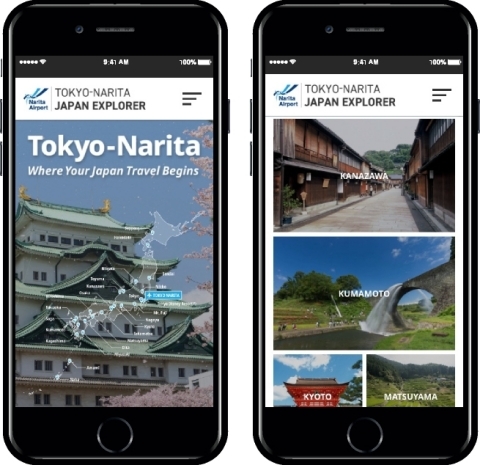 TOKYO--(BUSINESS WIRE)--On April 16, 2018, NAA launched a new English-language tourist information website to provide the ever-increasing numbers of overseas visitors to Japan with information on tourist attractions around Japan and how they can be accessed from Narita Airport. 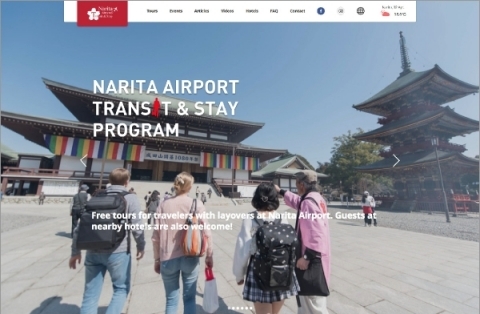 The purpose of the website is to enable visitors to experience a comfortable, convenient journey and stimulate inbound tourism demand by familiarizing them with Japan's attractive tourism locations before they depart or when they arrive at Narita Airport. Target Audiences: Overseas residents planning to visit Japan, and overseas visitors using Narita Airport. Multi-lingual Content: In addition to English, starting in July the site will be available in Traditional Chinese, Simplified Chinese, Korean, and Japanese. 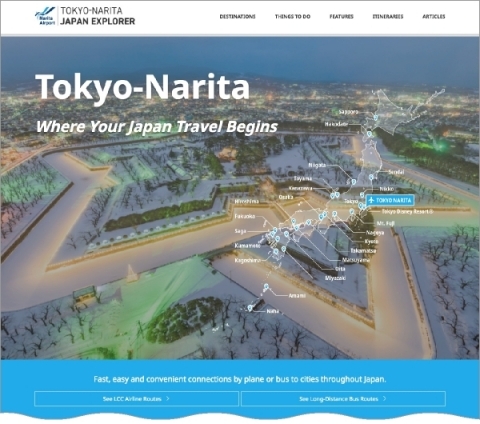 Key Characteristics: The website title is designed to be easy for overseas tourists to find when doing a Web search for words “Tokyo” or “Japan”, and the website introduces top tourist destinations easily accessible from Narita Airport and directions for getting to each. Designed to help visitors find tourist attractions that are accessible from Narita Airport, the site provides descriptions and access information for locations in the Tokyo region and around Japan that are reachable by air (mainly on low-cost carriers) or high-speed bus (mainly Narita Air & Bus), as well as information on the Narita Airport Transit & Stay Program. Using a smartphone or computer, either before or after arriving in Japan, a visitor from overseas can easily peruse a well-balanced array of tourism options in such categories as culture, nature, dining, and activities. The site also contains links to websites where users can make LCC airline and express bus ticket reservations, activity bookings and accommodation reservations, etc. The site provides clear, concise information on the attraction of tourist locations, with descriptions written expressly for foreign visitors, along with a range of beautiful photographs. This is complemented by information on accessing these locations from Narita Airport. Quality articles are provided through the courtesy of leading inbound media organizations including the JNTO (Japan National Travel Organization), and English language global websites such as japan-guide.com, Live Japan, and MATCHA magazine. 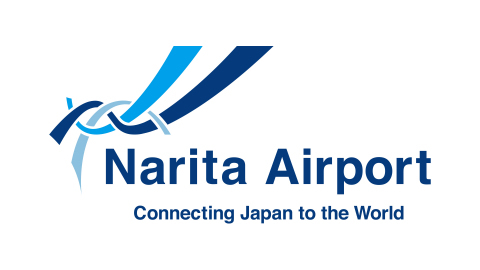 When connecting to Narita Airport's free Wi-Fi network, airport users are directed via a chatbot to websites that are frequently used by visitors to Japan and Japanese travelers at Narita Airport, such as information on tourism in the vicinity of Narita Airport (via the Narita Airport Transit & Stay Program). Narita Airport introduced an English-language chatbot service for passenger terminal information in November 2017, and is now introducing a specialized chatbot service for tourism information for locations near the airport.